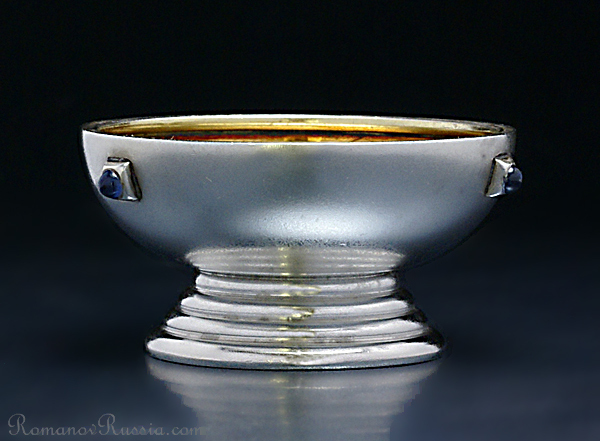 An Antique Faberge silver salt in Russian Modern style of the early 20th century, made in Moscow between 1899 and 1908. The salt has a matte finish. 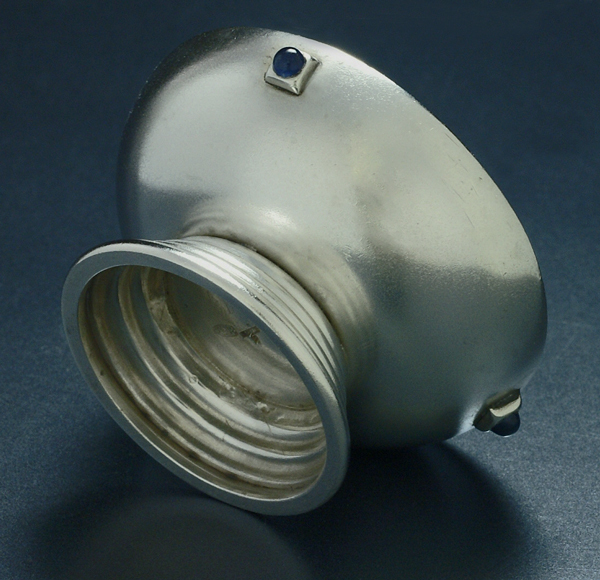 The bowl is set with three cabochon sapphires in a square-shaped bezel. 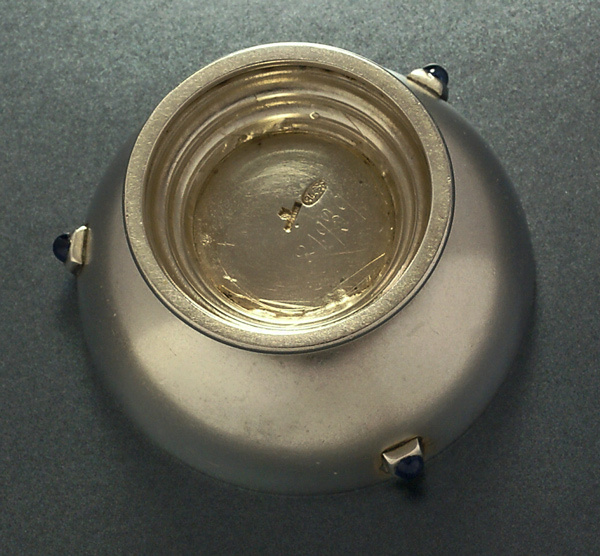 Marked under base with 84 zolotniks standard (875 silver), Moscow assayer’s initials ‘ И Л ‘ for Ivan Lebedkin, and ‘ K. ФАБЕРЖЕ ‘ for Carl Faberge beneath Imperial eagle . 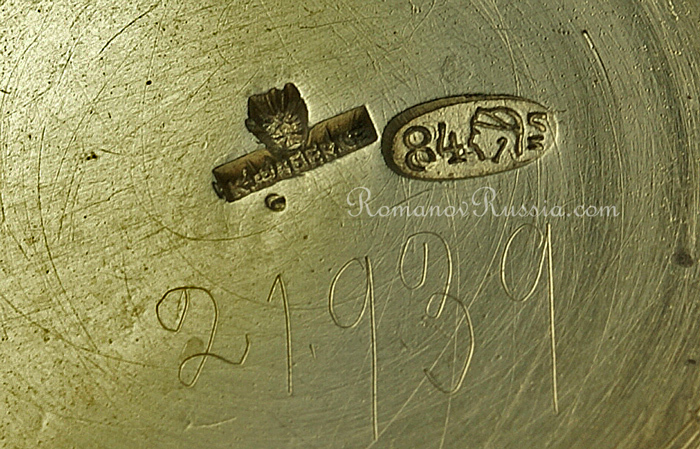 Original Faberge’s scratched inventory number 21939.